This is assuredly one of the most inspired campaign themes that we have seen all year. Could anything be more indicative of the degree to which fashion has embraced the Aesthetic Restoration than a major promotion which goes by the name, "Brilliantly Baroque"? "Opulence reigns in old-world charm"
Consider the terms: "opulence" is one of the keywords that denotes the return of timeless femininity in contemporary culture, expressing as it does the growing taste for rich and lush incarnations of beauty. "Reigns" is also significant, because it subtly references the trend of "aristocratic chic" that has been gaining in popularity for two seasons now (and has been prominently displayed in events as seminal as the Christian Dior haute couture shows). 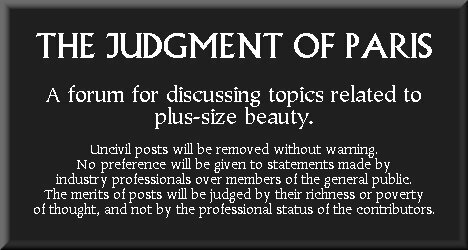 And, at our old forum, we discussed at length the emergence of a renewed appreciation for the "Old World," and all of the qualities for which it stands--elegance, beauty, craftsmanship, grace, harmony, and, of course, the fuller female figure. Readers of this site will be well aware that this androgynous image bears no relationship whatsoever to the actual aesthetic of the Baroque, which is marked by its appreciation for grandeur and sensuous richness. As viewers can see in our Pinacotheca, the Baroque Era was a time when sumptuous femininity flourished. It was the age of Rubens and Carracci and Jordaens, a time when the womanly ideal was even more generous than at any other stage in history, before or since. 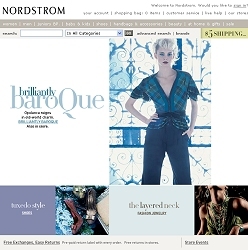 Fortunately, it takes just a little visual tinkering to correct Nordstrom's error by replacing its incongruously modern cover image with that of a different Nordstrom model, one who well lives up to the name, "Brilliantly Baroque," because she perfectly embodies the ideal of feminine beauty that was dominant in the Baroque Era--and indeed, in every century prior to the twentieth. "Opulent," "lavish," "exotic"--all qualities that define the look of today's plus-size goddesses. To have a major promotion invoke the glorious aesthetic of the Baroque is a major step forward for the Aesthetic Restoration. Let us just hope that next time, the campaign goes all the way, and features a model whose opulent beauty harmonizes with the era that is being referenced, a model whose body (as the saying goes) . . . is a Masterpiece. Last edited by HSG : 3rd June 2006 at 18:23. 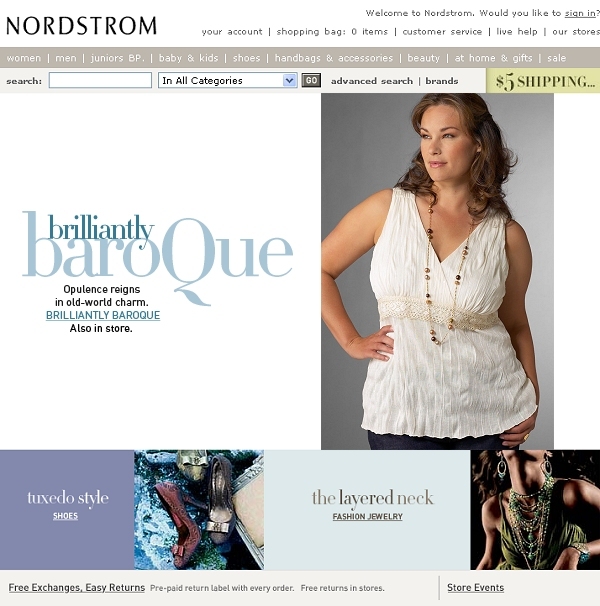 You know, it occurs to me that with an almost daily release of truly gorgeous new images of Barbara, Crystal, and other favorite models, Nordstrom is outdoing even the campaigns put out by most of the plussize specialist retailers this season. Besides being in the plus section, these images are also in the regular Jones New York section at Nordstrom. And thats just as it should be. Barbara makes even this basic outfits look more beautiful than any skinny model ever could. She makes them look so shapely, thanks to her unbelievably perfect figure. Its about time the smaller customers started looking to plussize models for inspiration, and not the other way around!